'Laze About!' 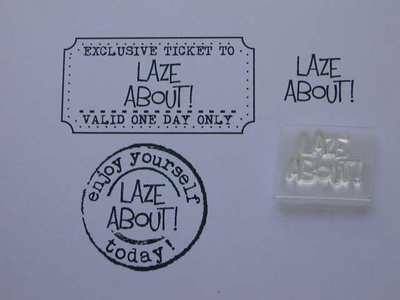 A little stamp for men, especially for the 'Enjoy yourself today' circle stamp and the 'Exclusive Ticket' stamp for the Tim Holtz strip die. 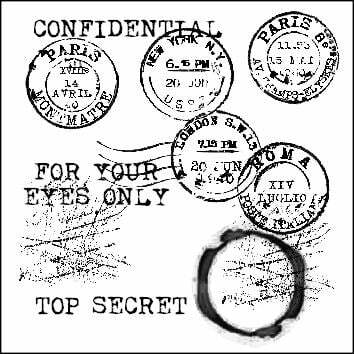 Stamped area approx 1.8cm x 1.3cm Will also fit the centres of the circle stamps that have a blank centre, and the little tag stamps.